Hickstead All England Show Jumping and Polo grounds, are one of the most high profile sporting venues in the world, and a long term client of BDC. Following on from our successful relaunch of their main information website, Hickstead asked us to design and develop an online service, that allows visitors to download videos and stream live events, throughout the equestrian calendar. 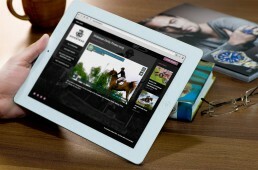 By creating a mobile responsive HTML framework, we were able to deliver a website that works seamlessly across all devices, and delivers a user experience that reflects the high quality of the Hickstead brand. Recent additions to the website include, the ability for registered visitors to purchase additional content via a third-party ecommerce system, as well as receiving access to exclusive news updates and information. This type of ‘members only’ content is useful for many types of business, including B2B organisations where there is a requirement for publicly accessible information, but also secured content areas with more sensitive documents.